From clogged drains to leaky toilets to broken pipes, One Source Mechanical can handle all your plumbing repairs, installs and maintenance. Whenever it’s a plumbing emergency, repair, replacement or new install in the kitchen, washroom or basement, don’t hesitate to give us a call. Our plumbers have years of experience and expertise and can help you with any plumbing problem today! The most common plumbing problem is a clogged toilet and sometimes it’s best to call in an expert. In some cases, the clog could be further down the drainpipe and a plumber’s snake could be required to remedy the problem. Another common problem is a leaky toilet, which could require some hands-on maintenance from one of our qualified plumbers. Faucets in your kitchen or bathroom sink are prone to wear and tear and may eventually leak. We can handle all repairs or replacements for any leaky faucet. Over time, drains in your kitchen or bathroom may be prone to some buildup and blockages. If you drains are backed up or draining slowly, it might be time to call in the experts! Sometimes a plumbing emergency can come out of nowhere. If you have a burst pipe in your home, give us a call. We also provide leak detection to catch any problems before they start! Your water heater is an important part of your home plumbing and you may be in need of a water heater replacement or repair. We have experience with all makes, models and brands. Don’t hesitate to give us a call to install or fix your water heater! 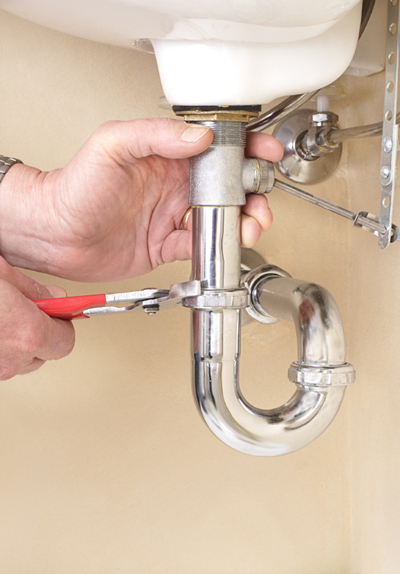 To inquire about plumbing services, please contact us.